The feedback from our Maki families has been great in regard to the opening of the new Campbell pool! Everyone is loving the shallow pool and warm water. Schedule your lesson today or come by during Family Swim Time and check us out. Pool closure Friday 3/29 through Monday 4/1 for Easter/Good Friday weekend! Have a good holiday! We’ll be checking messages and emails in the office, as always. Thank you! 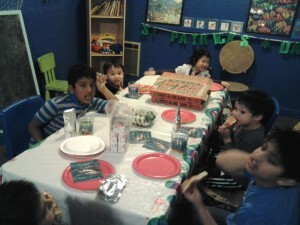 March Kid’s Night Out was a success! Thanks to everyone who came, we had a lot of fun swimming with you and look forward to the next event on April 20th! Reserve your space, this is a great way for kids to swim with their friends and for you to have a few kid-free hours!